As much as people would like to believe in the opposite, there can be romance without finance. Situations can lead to a lot of pocket injuries and since you cannot risk breaking the bank for love… or can you? You will be forced to deal with things as they are. Well, you should never let finances freeze your romance since when all is gone you can still have each other. 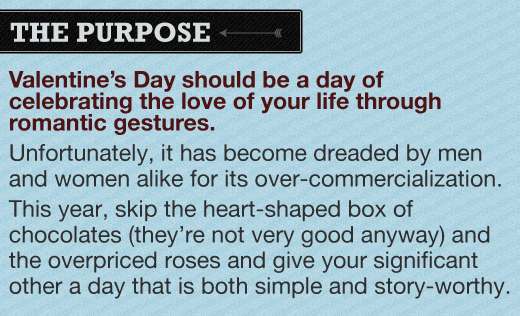 Here are a few interesting ways on how to enjoy your valentine’s without money or without spending much. By investing your energy and time on a homemade gift, this will show your better half that you care and some thing that you have created usually goes a long way in making a great gift this love season. If you love painting, paint something, if you are a sculptor or you are into any other art; make something that you know means the world to your valentine or better yet, something that symbolizes the love that you share. You can create a list of love songs and create a mix CD which you know your partner will enjoy. A great gift I find interesting for people who have not yet done this is giving your Valentine a key to your house in a valentine’s card… Unless of course they are professional burglars… Just kidding… it sure makes a great gift. The aim here is to make the day as less expensive as possible. Not that you are stingy but simply because you are walking on hot financial charcoal. Since you cook at home without necessarily messing up your budget, you can just make this day special my adding a few ingredients to your dinner. A good idea is to get the two of you involved in making a meal you find delightful and it is guaranteed that your meal making process will be filled with love and a few burnt foods as your attention is grabbed by fun romantic moments. If you are as good in cooking as a fish is in climbing a tree, get some recipes or if the worst comes to the worst, just order some food from the local restaurant, which is cheaper than eating out. There are a million things you can do without damaging your wallet or spending a fortune. There are many parks around you and you can take a romantic walk as you nimble on the popular candy floss. 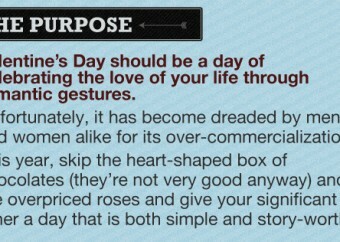 Chances are you will come across a vendor selling roses at a lower price than what is offered in the malls and the random purchase will be a great addition to your romantic walk. Go through your newspaper to see if there are free or cheap shows offers around you and surprise your date. You can drain all your work and financial related stress by pampering each other at home. Light some candles switch off the lights and transform your living room into as mini massage parlor. Play relaxed music and take turns in massaging the stress and fatigue out of your bodies. Well, there is nothing as romantic as an intimate massage and you will not have spent a lot. You only need to buy scented candles and the massage oil to get things going. 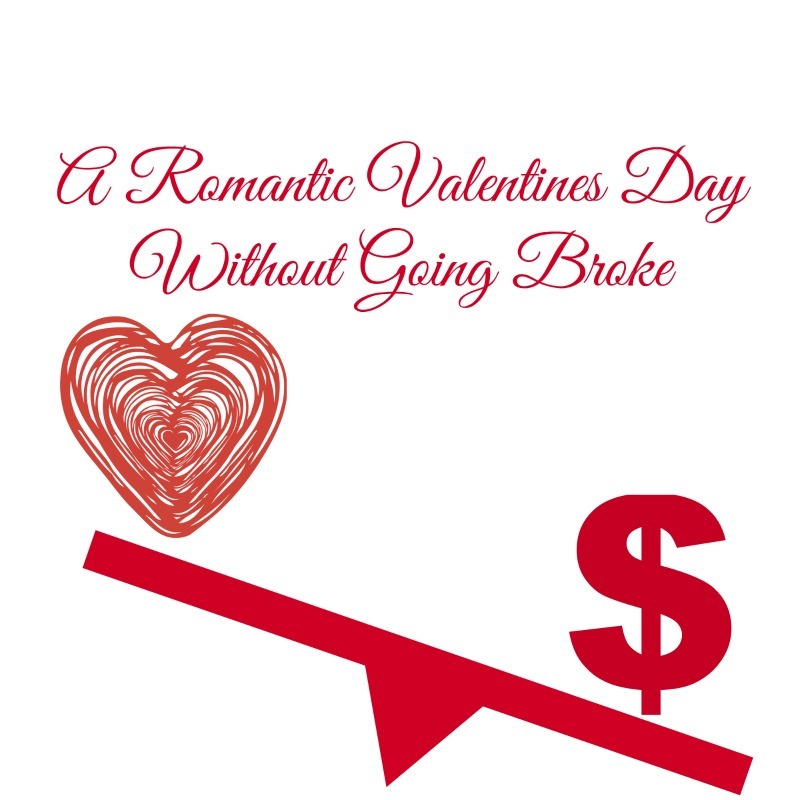 Keep in mind that you do not have to be going through financial difficulties to have a cheap Valentine’s. There are people and charity organizations that need you money to make someone else smile. You can do without the expensive gifts, the expensive dinners this Valentine’s and put a smile on another person’s face with that money and that is all love is about. Remember there is no need to live beyond your means and get into unnecessary debts on Valentine’s, if he/she loves you, they will understand that money does not grow like grass, or on trees. But if you have the money… spend it like tomorrow is nowhere to be found.